Over the past 20 years, research has shown what parents have known for a long time: sharing a fun family meal is good for the spirit, brain and health of all family members. Recent studies link regular family meals with the kinds of behaviors that parents want for their children: higher grade-point averages, resilience, and self-esteem. Additionally, family meals are linked to lower rates of substance abuse, teen pregnancy, eating disorders, and depression. We see family dinner as prime time to nourish ethical thinking and families are responding to this. This project aims to bring families together to share their experiences and insights to help each other realize the benefits of family dinners. Together, they will figure out the resources needed – like tips for setting dinnertime goals, engaging everyone in meaningful conversation, and overcoming obstacles such as conflicting schedules – to improve the frequency and quality of their mealtime interaction. We are men and women from a variety of personal and professional backgrounds, brought together by our shared belief in the power of family dinners. We are parents, a grandparent and non-parents, single and married. Our ages range from mid-20s to Medicare-eligible. 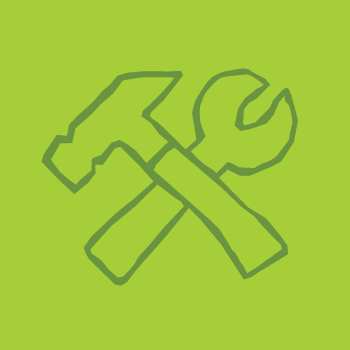 Our collective professional experience includes education, family therapy, conflict resolution, research, food, design, social work, marketing and communication. We’re working together to build a lively, growing movement that will be driven by the experience and insights of participating families. Our continuing role will be to help families share their experiences and learn from each other. Lynn Barendsen is Executive Director of The Family Dinner Project. She is also a Project Manager on the GoodWork™ Project at Harvard University. With Wendy Fischman, she has written the GoodWork Toolkit, designed to help develop a common language that school communities can use to define their work and identify their goals. Lynn has taught courses in film, English and American literature, expository writing, and GoodWork, and led numerous workshops and presentations on GoodWork related topics. She has published articles on African American and regionalist literatures, social and business entrepreneurs, young professionals in theater and business, and on leadership. Lynn and her husband John Rossi have two boys, Tano (12) and Luca (10). The Barendsen Rossis all love to cook, and spend many happy hours every week in the kitchen together. Paromita De is a Research Assistant on the GoodWork™ Project at Harvard University. She has been involved in implementation, assessment, and outreach for various initiatives aimed at cultivating “Good Work” in youth and professionals. Previously Paromita worked in educational program evaluation and instructional support. Whether it’s with her family and Bengali community in Tampa or her friends in Boston, Paromita loves food, fun and conversation and aspires to her parents’ “notoriety” as big dinner party hosts. Brianne DeRosa, MFA, is a freelance writer and communications consultant with a background in creative and dramatic writing, arts education, and service learning. She’s spent over a decade working in program development and creative initiatives, largely for non-profits and small businesses. Bri runs her own food blog, Red, Round, or Green, and was a featured contributor to the Cooking with Trader Joe’s: Easy Lunchboxes cookbook. She has also contributed to Yahoo! Parenting, HandPicked Nation, Real Mom Nutrition, and The Lunch Tray. in 2013 she was a cast member in the Providence production of Listen to Your Mother and joined the production team as a co-director of the show for 2015. On the side, Bri enjoys classical music and performs with The Providence Singers. She’s the mother of two young sons who provide her with endless amusement and creative inspiration. Wendy Fischman is a Project Manager on the GoodWork™ Project at Harvard University and has worked at Project Zero at the Harvard Graduate School of Education since 1995, managing various aspects of the Good Project, specifically focused on the meaning of work in the lives of young children, adolescents, and novice professionals. She has written about education and human development in several scholarly and popular articles addressing topics such as lifelong commitment to service work, inspirational mentoring, and teaching in precollegiate education. She has codeveloped a curriculum for students and teachers to introduce the concept of “good work” in classrooms and schools. Since 2010, she has also worked with The Family Dinner Project, in the areas of research and evaluation. As a mother of four children, The Family Dinner Project is both personally and professionally meaningful. 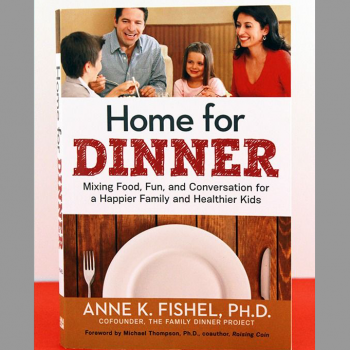 Anne Fishel, a founding member of The Family Dinner Project team, is a family therapist, clinical psychologist and Associate Clinical Professor of Psychology at the Harvard Medical School. She is Director of the Family and Couples Therapy Program at Massachusetts General Hospital, where she trains child and adult psychiatry residents in family therapy. She has written numerous scholarly articles and chapters about family issues, and wrote a book, Treating the Adolescent in Family Therapy: A Developmental and Narrative Approach. She also blogs about the impact of technology on families for Psychology Today, and about family dinners for FDP. She has a forthcoming book about the benefits of family dinners to be published by Amacom Press, 2014. She lectures widely at academic conferences, medical Grand Rounds, and most recently as a keynote speaker at two major conferences in Shanghai. She is the mother of two young adult sons who now make dinner for themselves, their friends(and occasionally for their parents), and are better and more adventurous cooks than their mother. Shelly London, a founding member of The Family Dinner Project team, is a retired senior corporate executive, a current NYU adjunct ethics professor, 2009 Harvard fellow, pro bono consultant to nonprofits, social entrepreneur, and president of the Poses Family Foundation. She worked 18 years at AT&T primarily in marketing and communication, most recently as a senior vice president. Before retiring in 2008, Shelly served eight years as vice president and chief communications officer at American Standard Companies. While at Harvard, she began working with partners, students and professors to develop a multifaceted, multimedia program designed to promote ethical thinking among pre-teens, teens and the adults in their lives. This work resulted in a number of initiatives, including a computer game called Quandaryand The Family Dinner Project. Jono Reduker, one of the first graphic designers to work on the web, was featured in the New York Times article “Top Designers Are Drawn to the Web” back in 1995. He has worked on accounts ranging from Scudder and RIM to Claudia Schiffer and Michael Jordan. He and his son Alec inspired our Family Edition of Iron Chef in the Fun section. Ashley Sandvi, a founding member of The Family Dinner Project team, has a background in marketing, organizational development and developmental psychology. As a student in the Human Development & Psychology program at the Harvard Graduate School of Education, Ashley studied moral and social development, with a particular focus on foundational skills such as perspective-taking and decision-making. She is currently a vice president at the Poses Family Foundation, where she works in the areas of learning disabilities, education and ethics. Charlotte Svirsky is currently a program officer with the Poses Family Foundation, where she works in the areas of learning disabilities, education and ethics. She studied Social Anthropology at Harvard College, and prior to joining the Poses Family Foundation, was a team leader with City Year New York. Charlotte and her husband Dan both love to cook, and look forward to sharing many family dinners with their 11-month-old son, Lucas. Robert R. Stains, Jr., M.Ed. is Senior Vice President at the Public Conversations Project and a founding member of The Family Dinner Project team. He creates constructive conversations on issues of sexual orientation, religion, abortion, gender, social class and race; trains other senior practitioners in Reflective, Structured Dialogue and provides consultation to academic, civic and religious leaders. His most recent publication is “Reflection for connection: Deepening dialogue through reflective practices,” Conflict Resolution Quarterly, 30:1. He consults to the Interpersonal Skills Component of the Harvard Negotiation Project at Harvard Law School, sits on the Executive Board of The Democracy Imperative and served for many years as a Guest Scholar Practitioner for the Dialogue, Deliberation and Public Engagement Program at Fielding Graduate University. Most importantly, he enjoys cooking and sharing family meals with his wife and 3 children. Amy Yelin, MFA, is a writer/editor and mom of two wild and crazy boys, ages five and seven. Before joining The Family Dinner Project, she worked in healthcare for eight years as a member of the Marketing and Communications team at Lahey Health (formerly Lahey Clinic) in Burlington, Massachusetts. She also teaches creative writing and mentors students in Lesley University’s MFA in creative writing program. Her goals include one day mastering the art of the family dinner, and being Tina Fey.